The pilot follows the announcement that New Zealand’s mobile network operators are to partner with the operator of the country’s debit card and ATM networks to introduce a central TSM platform. Auckland Transport, Telecom New Zealand and financial services group Westpac are to begin testing an NFC mobile ticketing service that will allow passengers to pay for transportation tickets with an NFC phone. Gemalto, ticketing specialist Thales and Paymark, the bank-owned organisation which operates New Zealand’s ATM and debit card networks, are also participating in the project. The move follows the announcement earlier this month that the country’s mobile network operators — New Zealand Telecom, Vodafone and 2Degrees — are to form a joint venture company with Paymark to create a central TSM service for New Zealand. The Auckland trial will involve some 30 staff from the six organisations. Trial participants will be able to use a mobile phone to make ‘tap and go’ payments to access public transport in the city and make purchases at a small selection of retailers. 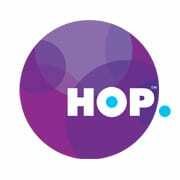 The service will make use of Auckland Transport’s new smart card ticketing system, HOP, allowing phones to be used to pay for tickets on the city’s buses, trains and ferries. Plans then call for the service to be deployed “globally across all networks and banks”. Participants in the trial will pay for their transport with a New Zealand Telecom XT Prepaid account that they can top up from a Westpac credit card, using Paymark’s infrastructure. “This will make it easier for customers to add credit to a prepaid card without having to go online or pay in a store,” say the partners. “This is an important part of Westpac’s innovation pipeline and it’s an excellent opportunity to build further capability in this area as the New Zealand banking industry moves toward a mobile future,” adds Jim Stabback, Westpac’s general manager for customer technology and services.